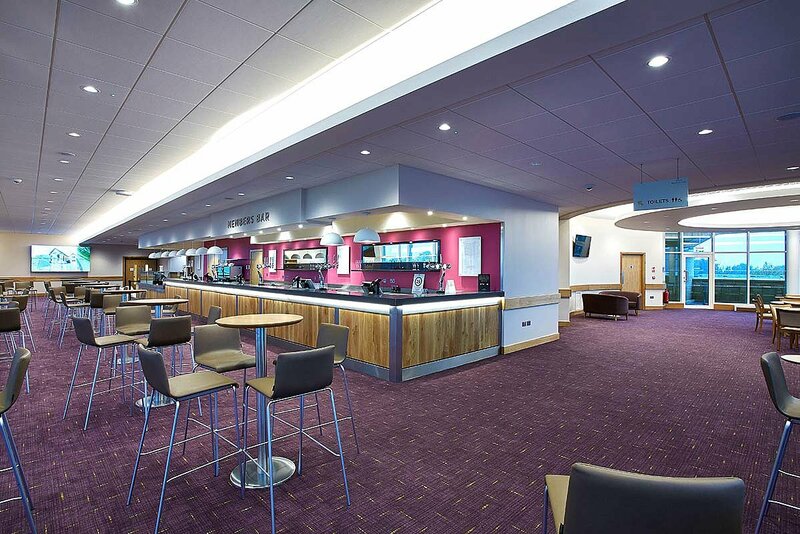 The world-famous Cheltenham Racecourse is set in a scenic location in a natural amphitheatre just below the Cotswold Hills. Its most prestigious meeting is the Cheltenham Festival, held annually in March, which features several Grade I races including the Cheltenham Gold Cup, Champion Hurdle, Queen Mother Champion Chase and Sun Bets Stayers’ Hurdle. 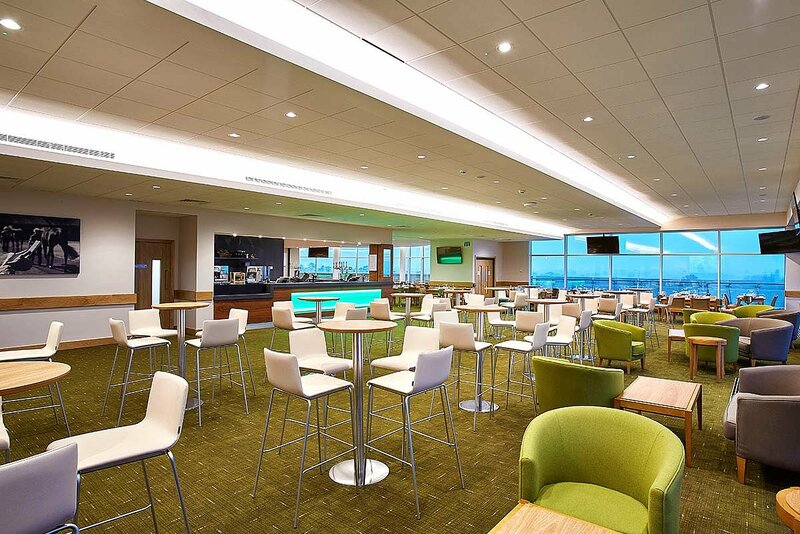 The 67,500-capacity sporting venue embarked on an ambitious refurbish and rebuild project known as the Cheltenham Masterplan. The implemented lighting design and equipment were central to creating an aspirational wow factor in the overall finished effect. A wide selection of the TRILUX LED portfolio were selected for the hospitality areas including, Solvan Flow, Siella, Amatris, Inperla, Onperla, Polaron and some bespoke items. To benefit from the efficiency of the LED lighting, absence control plays a large role in the lighting-control strategy. For the front-of-house areas, DALI was chosen because of its flexibility, allowing luminaires to be controlled individually, aiding scene setting. “The result is impressive, we have had some really positive feedback,” concludes Neil.